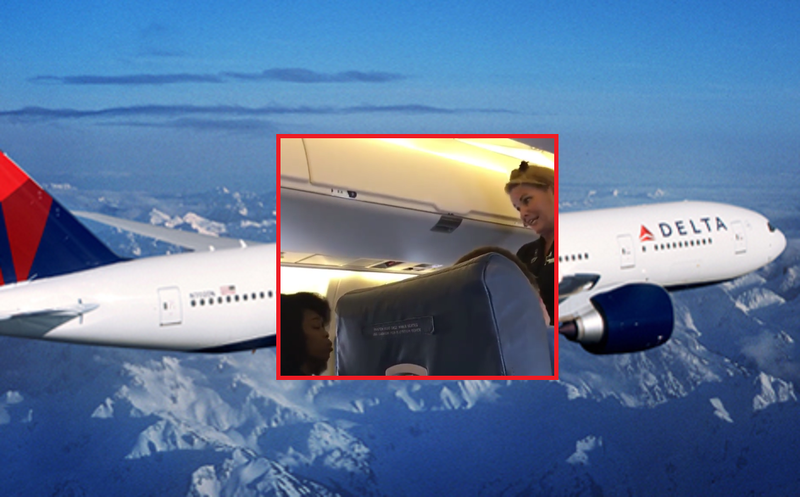 A Delta flight attendant has been filmed throwing four passengers off a flight for giving her 'attitude' when she asked one of them, an African-American female DJ named Robyn Rogers, to turn their phones to airplane mode just before take-off on June 23 at Fort Wayne airport in Indiana. At this point, another passenger starts filming from the row behind them. We’ve all been there of course. You board a flight, listen to the safety instructions and the person next to you is refusing to put their phone or tablet in ‘flight mode’ as you’re taking off. Although I have also been told many times by ‘people from the industry’ that it doesn’t matter and this doesn’t influence the plane’s functioning, the back of your mind is still worried about anything that might happen. What do you think? i used to love flying but not any more. i haven't flown since 9/11 and never will again. I side with Delta on this. The flight crew by law are to be obeyed. Cell Phones, tables and etc… NOT in flight mode can and have interfered with Flight communications and NAV-GPS. When a person "feels" they can do as they please and cop and attitude when they are told to ACT LIKE AN ADULT for the safety of others and is kicked off. Well politely said…. I could care less if her feeling are hurt. Because I am thinking of the other 100+ passengers doing as requested WITHOUT THE LIP. Totally agree. Put your phone in flight mode, its what the phone maker put it there for. niggers should not be allowed to fly. They should travel as God intended them—running barefoot, wearing a loin cloth and carrying a spear.